The answer I settle on - which by no means is original to me - requires a shift in metaphors, one that sees our democracy not as a house to be built, but as a conversation to be had. According to this conception, the genius of Madison's design is not that it provides us a fixed blueprint for action, the way a draftsman plots a building's construction. It provides us with a framework and with rules, but fidelity to those rules will not guarantee a just society or assure agreement on what's right. It won't tell us whether abortion is good or bad, a decision for a woman to make or a decision for a legislature. Nor will it tell us whether school prayer is better than no prayer at all. What the framework of our Constitution can do is organize the way by which we argue about our future. All of its elaborate machinery - its separation of powers and checks and balances and federalist principles and Bill of Rights - are designed to force us into a conversation, a "deliberative democracy" in which all citizens are required to engage in a process of testing their ideas against an external reality, persuading others of their point of view, and building shifting alliances of consent. Because power in our government is so diffuse, the process of making law in America compels us to entertain the possibility that we are not always right and to sometimes change our minds; it challenges to examine our motives and our interests constantly, and suggests that both our individual and collective judgments are at once legitimate and highly fallible. It is no secret that President Obama is attempting to model himself after our greatest President, Abraham Lincoln. He may fall far short of Lincoln's achievements, and I certainly hope President Obama does not become a tragic martyr to the ideals of Freedom. He can be like Lincoln without going to Ford's Theater next April. Sure, we certainly have been having our greatest recession of all time. And not to blame W Bush (blather, blather), but it did start before President Obama took office. He cooperated with the initial actions put forward by the Republicans until they did their about-face and abandonment of responsibility refusing to work with the new President. Blame whom you will, but Senator Obama worked with the outgoing Republican President and it was a good transition at a time of national crisis. Then once he was sworn in, all Republican cooperation dried up. The recession could of been so much worse. We are coming out of it with a slow and steady recovery which common sense tells me is somehow better than a huge charge of economic boom and expectations to bust yet again. The whole point of the governmental controls put on our system in the New Deal was to level out that boom and bust scenario much to the chagrin of the free-marketers, Libertarians, and the Randians. I am so glad that the President's greatest legislative success based on Republican models has now taken on the name that was originally intended as a pejorative by mostly emotional and irrational opposition. Enemies frequently provide the ultimate legitimacy of a good cause or at least help with the promotion of new ideas. It is so similar to the way that the word "Mormon" originated as a pejorative among detractors and persecutors and has now been adopted wholeheartedly by us - not as an official name - but as a cultural name of affection and respect among ourselves and in many other circles. I won't go on to the details of Obamacare now. I have skimmed through the Act and read the parts of most interest to me, particularly how it squares with the Indian Health Service (because I was curious, I actually don't work for them because they're in HHS not Interior). But I will link you to several of my previous posts on Obamacare here, here, here, here, and here. Similar to number one above, I think the President has great respect for the Fourteenth Amendment, the most important Amendment after the first nine (heh, heh. The Fourteenth gradually diminishing whatever relevance, if any, the Tenth ever had - that's why the Tenthers don't like it so much). The President hasn't gotten anywhere on Immigration Reform as it was one of the hot button triggers for the tea-party and obstructionist Republican Party. Maybe he can get somewhere in a second term coming back to the perfectly reasonable and rational framework supported by W. Bush and Sen. McCain (before they abandoned it not so much on principle but party pressure). That is: 1. Secure the Borders (where President Obama has actually made some improvement with some help from Congress; 2. Pathway to Citizenship - the President's executive action on back-ending some Dream Act ideals into immigration enforcement was a political masterstroke and a good thing; and 3. A Guest Worker program. This can be worked into number 2 somehow which would be my preference. Here are some of my views on Immigration Reform here, here, here, and here. I'll admit it. As a federal employee with the Department of the Interior, even under the squeeze of frozen salary increases and more work because we are not back-filling those who leave, I think a second Obama Administration will be better to us than a Romney one where his business acumen has focused on profit and not people motive. I don't know if we will be able to convince him that we are actually a profit-making Department for the federal treasury mainly through oil and gas royalties. The party he would be heading, at least in Utah, wants to get a hold of that revenue stream for local powers that be, not for the public good of the United States to whom the public lands belong. (At best, there was an implied understanding they would all eventually be sold. There was never a compact or any enforceable agreement to sell off the public lands to the highest bidder. Even when we did dispose of lands more that we do now, the fraud, graft and corruption was horrible. We need no more of that now). Here are some of my earlier thoughts on the public lands here and here. 7. I live in Utah. And I'm just doing my little part to work towards the goal of freeing ourselves from the tyranny of a one-party state. (I'm exaggerating, but only a little). See some of my comments here, here, and here. 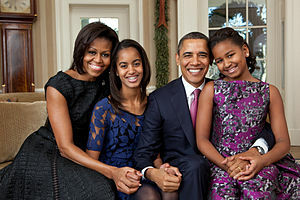 Solid family values with a wonderful First Lady and great daughters. This comes down to a lot of subjective sentiment. Maybe even a little "white guilt" that it's about time we had an African-American President to help move this country out of its past (and present) racism. Some could argue this hasn't helped and only exacerbated our cultural and racial tensions in this country. Even if ugly, it's better to bring it to the light of day - so we can deal with it. This is one more reason why some say a re-election is so important. If he loses, he could be relegated to history as an aberration (almost as bad as being "the other"), if he wins, we have four more years and a future of self-reflection as to what this means to us and our nation. Maybe the over-excited irrational responses will tone down a little. If they don't, they can't go on forever without destroying themselves. And I won't say much about Governor Romney here except that he just gives me the creeps. If he were my bishop (pastor?) or stake president, I would do my best to sustain him and work with him as I have other difficult church leaders (and as some did for me when I was difficult). But I refuse to "sustain" him just because he's the Mormon candidate for President. He's better than a lot we could have put forward (yikes!) but not as good as many others including former Governor Huntsman who I could have supported much more easily. You can skim through the blog to see what I've said about Governor Romney. I've tried to be as polite and restrained as possible, but sometimes the passion overcomes the moderation. 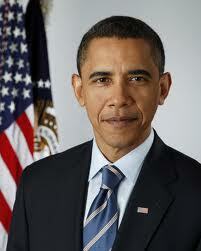 Well, I could go on with a lot more reasons or history from these past four years as to why I like President Obama. But I'll leave it for now. I realize it's too late to persuade. I only seek to be understood. God Bless America! And all the Peoples of the Earth! It sounds like we share some of the same reasoning, although I have less personal experience working for the government. Thanks for a well thought out piece. Well said. As for Romney, I have always had a hard time putting my finger on exactly what it is about him that strikes me as odd, and on Saturday, I finally figured it out. During "Weekend Update" on Saturday Night Live, they had their fake Romney come on and talk about the election. Toward the end, the interviewer asked Romney why he wanted to be president, and the fake Romney replied, "I don't know. I just really want this job." Even though it was a joke, it finally put into words what had bothered me for the longest time: Romney seems to be a candidate without a purpose. For as long as I can remember, I have always been able to point to something that made me think that the candidate wanted to be president for some purpose, even with candidates that I didn't like. With Romney, I can't seem to figure out why he wants to be president, and that bothers me. Nice write-up. I'm also in Utah, though I'd rather claim my state of birth, MA. I'm also Mormon but didn't vote for Romney because Ron Paul made me realize what principles of freedom are. I think Romney and Obama were the same cat when it mattered. More spending, more war, less liberty.